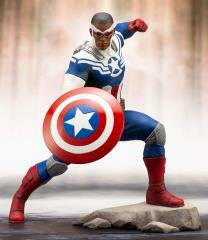 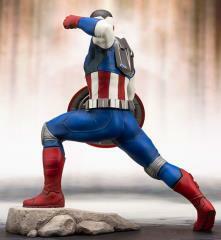 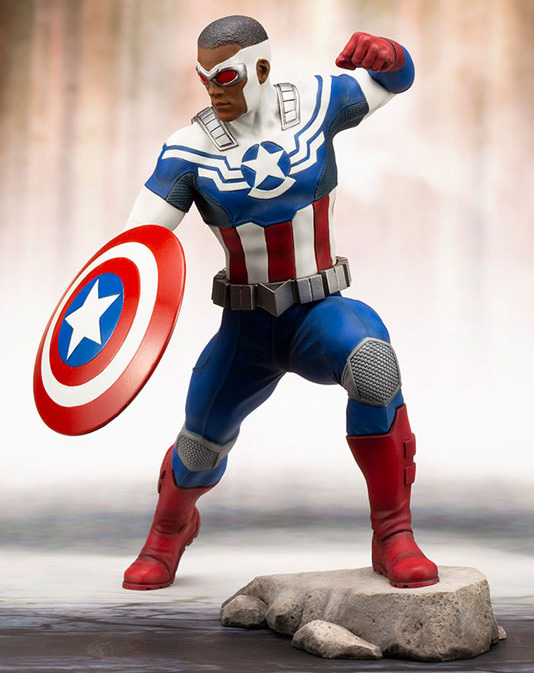 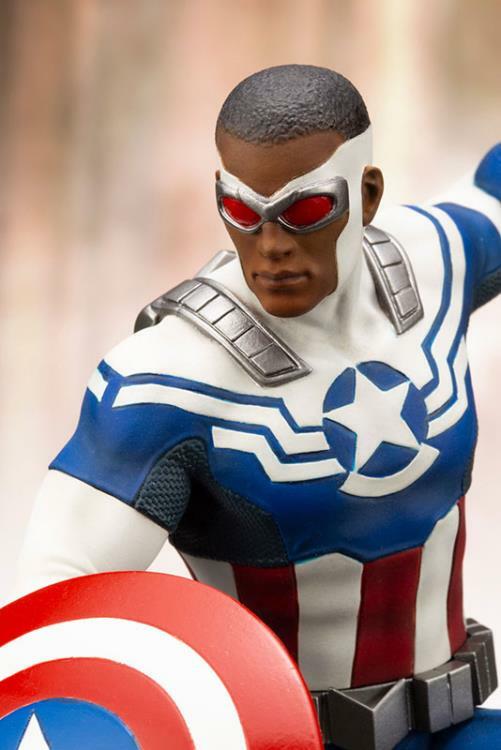 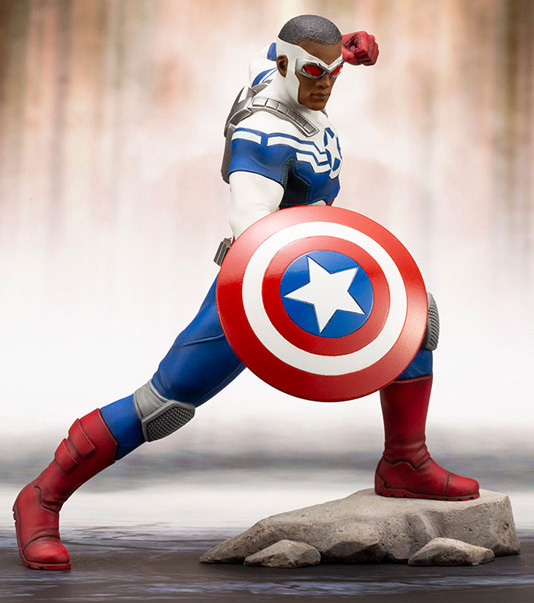 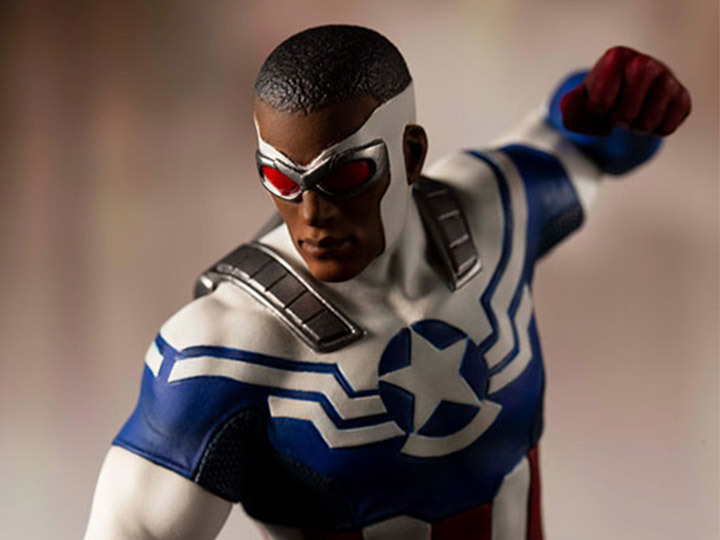 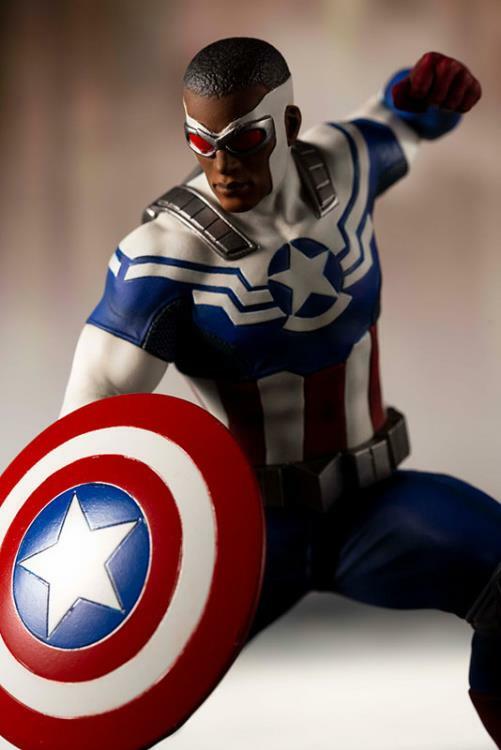 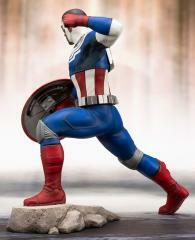 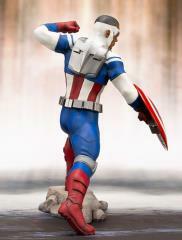 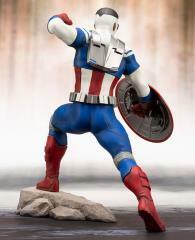 Sam Wilson, also known as Falcon, took on Captain America’s name and shield after Steve Rogers decidedto retire from the front lines. 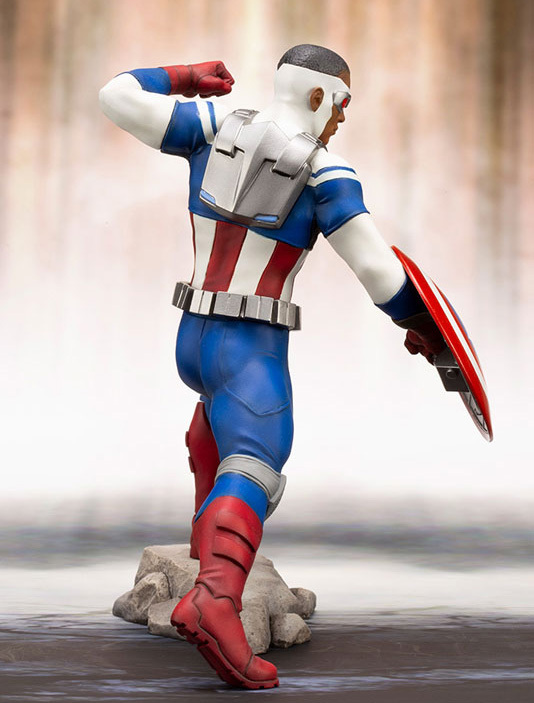 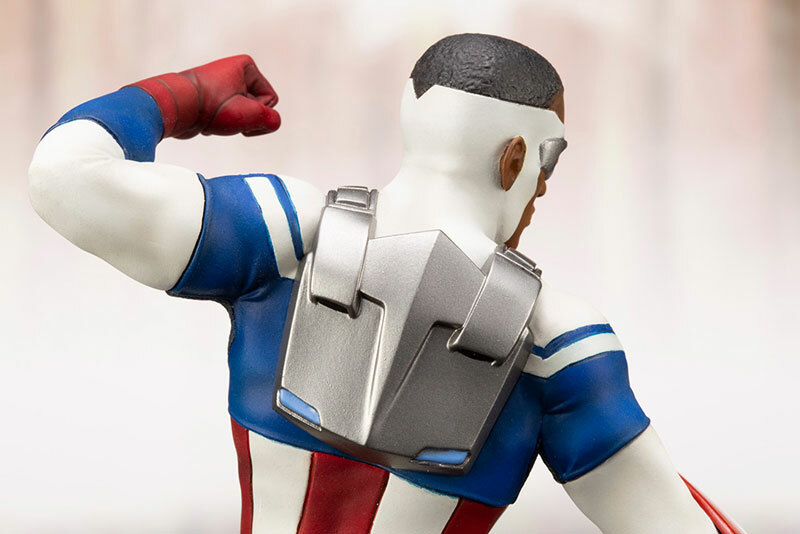 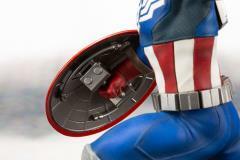 With Falcon’s high-tech jetpack strapped to his back, Sam Wilson became the first Captain America able to fly through the sky and remained an iconic representation of the classic hero. The design for the statue is based on a design by Adi Granov that perfectly encapsulates the photo-realistic style of the iconic artist.